In this post, we're going to explore how Connection or Relatedness is the third pillar of Motivation and how it ties into the previous two of Autonomy and Mastery. Studies show that people high in Autonomy and Connection experience higher quality interactions with other people and are generally more successful. In our so-called "connected society," many people feel disconnected as evidenced by the opioid crisis, gun violence, depression and unease in much of the US population. It's obvious that people are longing for connection. Another important factor of motivation is Connection or Relatedness. According to Richard M. Ryan and Edward L. Deci in “Self-Determination Theory: Basic Psychological Needs in Motivation, Development, and Wellness” there is often confusion about Autonomy and Connection. Many researchers have misinterpreted Autonomy to mean independence instead of volition. Independence could be interpreted as being detached from others rather than willingly engaging with others in an autonomous way. Autonomy means acting with choice rather than pressure. 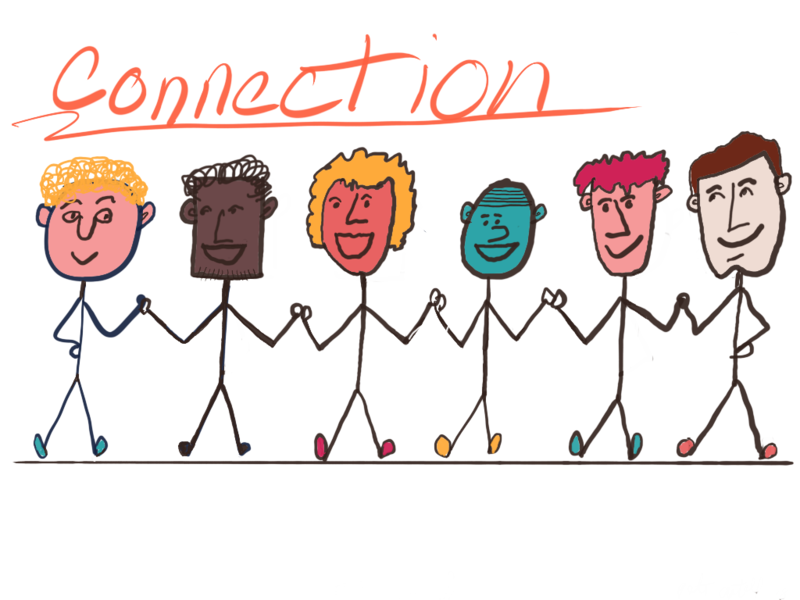 How is Connection or Relatedness defined? Science has shown that without love and connection, people can die. Connection with others implies an exchange of love and positive self-regard, necessary for not only ourselves but for a healthy society. It's widely researched that loneliness can in fact kill you. And furthermore, we also rely on connection with other species like bees. If all of them would die, then humans would, also. The current polarization in America can be traced directly to the lack of connection and care for each other. When people are scared as so many are in the US, they draw in, close down, and the social bond between people collapses. Then we lose connection with our true self. Our true self is open, generous, inclusive and co-operative. Loneliness and dis-connection affects our health in so many ways. Autonomy because it's volitional (voluntary) causes us to feel open. The voluntary cultivation of Mastery causes us to feel good about ourselves because of the innate human need to develop. The more Mastery we accomplish, the more autonomous we feel. We are social beings, and we get better when we engage with other minds and other talents in a spirit of cooperation. When we combine Autonomy, Mastery, and Connection, we create something far more significant than we could ourselves. Therefore it's not surprising that more and more people are looking to live in Wellness Communities, which might become the next real estate boom in generational living. In our own business, the three of us are constantly amazed at how our unique gifts and talents have interlocked to create something we could never have dreamed of on our own. Our care and regard for each other has expanded our individual families far beyond ourselves. Connection is a competitive advantage in anything you do. You can think of the four factors like pieces in a puzzle. Take each one and ask yourself, where am I lacking? Autonomy, Mastery, Connection, Purpose? If you don't feel a sense of well-being, it's because one or more of the elements is missing or needs strengthening. Pretend you are a scientist examining yourself and see what answers you come up with. The fourth factor is Purpose which propels us forward to live a life for a reason greater than ourselves. It is well researched that people with a sense of purpose are stronger, healthier and more fulfilled than those without because their life has meaning. In the next and last blog post in this series of four, we'll explore Purpose and why it's a critical piece in the four factors of Motivation. Questions: Where in your life and with whom do you feel deeply connected? Why? You can leave your answer in the comments below.